A lot of research has been devoted to the issue of the best way to get what we want out of public institutions. One governmental management style that has been challenged in recent decades is “command and control” regulation. As the name suggests, command and control is top-down regulation, imposing a set of rules that must be obeyed. One alternative to command-and-control is incentives. Think of dog training. It used to be that a dog was required to obey rules, with a “no!” or even a pinch if the dog disobeyed. That was a command and control method. Today we prefer to use incentives in the form of treats and praise so that the dog will want to do the right thing. Many criticisms can be made of the command and control method, but two of the most common are that there are costs to enforce it and that it reduces the flexibility – and therefore the efficiency – of the industry or group that is being regulated. The costs of command and control can often be offset by the benefits of regulation, but the loss of flexibility is not so easily offset because it includes many small inefficiencies and the stifling of creativity. Animal shelters are complex institutions. The traditional open-admission animal shelter has a unique problem, for example, with lack of control over its inventory — i.e. the number and type of animals who come in the door. Imagine if you were the proprietor of a furniture store and you never knew what type of furniture you would get, when your suppliers would deliver it, or what condition it would be in when you got it. On a given day it might be that you would get 100 lawn chairs and nothing else. And maybe 10 of the chairs would be damaged and have to be repaired before you could put them on the floor. The next day you might get 5 giant antique mahogany dressers, a broken grandfather clock, and 3 dining room sets. Shelters in recent years have begun to use managed-admission techniques to bring some predictability to intake, but then they get criticized by people who say owners will dump their animals in the street if they cannot drop them off at the shelter on demand. Studies have shown that stray intake does not increase with managed admission, but that has not stopped the critics. Intake is far from the only complexity in sheltering. Municipal animal shelters that are responsible for animal control as well as sheltering have to protect the public from nuisances and health threats, which means they have to be involved in licensing and rabies control. They have a law enforcement function, including stray impoundment and anti-cruelty efforts. Once animals are impounded, the shelter has to evaluate their health and temperament and triage them. The shelter has to provide health care, rehabilitation, perhaps foster care, and get animals adopted or sent to rescue. Even No Kill shelters have to make decisions as to euthanasia. In addition to kennel staff, the staff may include foster, volunteer, offsite adoption, rescue, and transport coordinators, as well as communications people, behavior specialists, lost-and-found services, and a photographer. The shelter must have veterinary staff, preferably on the premises, and the staff must be proficient at herd medicine and able to do high-volume spay-neuter. A human resources person is needed, as well as an accountant and a person who can negotiate with local officials on matters like the budget. Maintenance staff and groundskeepers are needed. In small shelters that have limited staff, each person may have to perform several of these functions. With an organization as complex as the typical animal shelter, the imposition of command-and-control regulation from above, and the resultant loss of flexibility, can reverberate throughout the system and cause unexpected and undesirable consequences. So why would any animal advocate argue for command-and-control regulation to be applied to shelters? The usual reason is that advocates want to force bad shelter directors to do better. One example of this is the advocacy for long hold times for animals. The idea is that a long hold time gives the animal a greater chance to be reclaimed and gives rescues more days to network the animal for a placement. Those might or might not be good things in themselves (the number of owner reclaims after 4 days or so may be negligible, for example), but let’s look at the cost in terms of loss of flexibility. If the hold period is increased from 4 to 7 days, the loss of flexibility is that the shelter is no longer able to have healthy, highly adoptable animals out the door on the morning of day 5. Now they have to wait until the morning of day 8. That is 3 additional days that the shelter has to house, exercise, socialize, and feed those animals, and treat them if they get sick (which they are far more likely to do in the shelter than they would be in an adoptive home). This requires resources, and the result is that the shelter has lost some of its ability to triage its resources. Instead of the shelter director deciding how best to manage getting animals back to their owners so that resources can be used most efficiently, the government is dictating a one-size-fits-all policy to the shelter. Not only does the longer hold time reduce the shelter’s housing and care capacity, it also tends to create a choke point. Choke points occur when a shelter has too much to do in the available time frame, creating a delay or backlog. If the shelter is trying to maintain a length of stay of 15 days, because that is the maximum time it can humanely house its animals with the space and resources it has, then a 7-day hold time instead of 4 days means that the shelter has only 8 days, instead of 11 days, to get animals out the door on time. That means a narrower window to process adoptions, coordinate with transport, get the veterinary staff to sterilize the animal, and so forth. 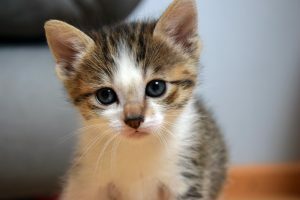 Advocates might argue that the shelter can use the extra three days in the hold period to do those functions, but shelters generally do not acquire ownership of animals until the hold time has expired, and they might be in trouble if they did elective medical procedures on animals they did not own. Some people advocate for a bifurcated hold time, where the longer hold period applies only to killing the animal. That can remove many of the problems of a longer hold time if it awards ownership of the animal to the shelter in the shorter time period, thus freeing up the animal for adoption or transfer. Going back to our example of dog training, command-and-control regulations that are designed to keep shelter directors from behaving badly are like using pinches instead of treats to train a dog. The pinches may produce a simulacrum of the particular behavior we want, but it will not produce a dog who wants to do the job willingly and happily. So it is with shelter directors. Command and control regulation, in addition to causing inefficiencies, produces resentment. And the problem is that the resentment is created in both good directors and bad ones. A good director suffers just as much from a long stray hold time as a bad director does – probably more, because a bad director can solve the choke point problem by killing animals on day 8, whereas the good director is going to scramble to get them out the door alive in the shortened time frame. I’ve seen suggestions that states should institute an exception for good shelters, so that the longer hold times do not apply to them. I can’t imagine that anyone who has ever had to actually do regulation would favor such a plan. It would mean that the state would have to define what was a “good” shelter, work out a scheme to evaluate each shelter in the state to determine if it was a “good” shelter, and then check the shelter at fixed periods of time to determine if it was still a “good” shelter. There would have to be a mechanism for appeals of determinations. And there would be appeals. Can you imagine the reaction of a private shelter with a municipal contract if the state said it was not a “good” shelter? In order to protect its flow of private donations, that shelter would lobby, cajole, appeal, and perhaps even sue. The whole thing would be an endless headache to the state that tried to administer it. Why do advocates often prefer command and control over incentives to get under-performing shelters to improve? Apparently the reason is that many advocates believe that bad shelter directors would ignore incentives because they think killing is a kindness or they enjoy killing. After doing many interviews with shelter directors both good and bad over the last seven years, the impression I’ve gotten is that bad shelter directors are bad not because they enjoy killing (I have yet to interview anybody who enjoyed killing), but because they are dinosaurs. Running an animal shelter has traditionally been a low-status job. At a 1970’s conference one of the presenters remarked that most people who were shelter directors did not want their friends to know what they did for a living. Needless to say, the profession did not attract the best and brightest. Very often, directors were people who came up through the ranks rather than people who were hired for their professional accomplishments in business management or marketing. Instead of seeking to enact command and control regulations that (a) do not accomplish their ostensible purpose and (b) have the unintended consequence of restricting the options of good directors, it might be more effective to use incentives. State-run incentive systems for high live release rates could be very effective. States that collect and publish statistics on animal shelters seem to be getting a bump just from shelters knowing their statistics will be published, and a direct incentive system would be far more powerful than just publishing statistics. Another benefit is that legislation to create incentive systems would probably be a lot easier to get enacted than command and control legislation. To solve the specific problem of dinosaur directors, local advocates could form non-profits and take over the shelters themselves by showing local governments that they can do the job better and cheaper. This solution puts much more of a burden on advocates because it requires them to do a lot of work, but it empowers advocates and puts their destiny in their own hands. I don’t want to suggest that command and control regulation is always bad — there are some things for which command and control regulation can work well. Laws requiring rabies vaccination are one example. But command and control works best when there is a clear, discrete action (not just a goal) to mandate. It is not good for situations that require creativity and flexibility. For those situations, rewarding good results may work far better. Imagine what we could achieve if advocates would turn their attention to creating incentives for shelter directors. One easy first step would be a statewide shelter-data reporting law such as we now have in Virginia, Colorado, and Michigan, which would create a strong incentive to produce higher live release rates. Another might be that, when a city or town is seeking a new shelter director, advocates could produce a proposal of what they would do to help a new director succeed. If there is a local attorney or business manager who has been thinking about making the leap to be a shelter director, the promise of substantial local help might be the deciding factor. Advocates could form non-profits to partner with shelter directors and set shared goals. Advocates could provide “scholarships” for directors and shelter staff to attend conferences, workshops, and apprenticeships. The possibilities are endless. The ear-pinch system of dog training is gone, and good riddance. Now we need to get rid of the ear-pinching mentality toward our shelter directors, and replace it with incentives.